What is causing the rental market to take over? Why are rentals taking over the housing market? Although the housing market has picked up and we have started seeing prices soar up after summer, the country’s homeownership rate has continued to fall. It has been reported that 65 percent of households in the first six months of this year owned their homes, the lowest in 18 years! This situation is a prime example of supply and demand, as people have lost their homes and face challenges from lenders, the number of renters has increased more than ever. 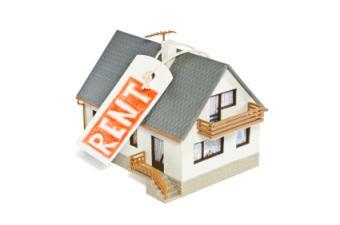 Here are some factors that might be leading to rental properties rocking the housing market. Aftermath of the foreclosure crisis: Despite foreclosures being behind us, after peaking in 2010, we can’t ignore the impact it still has on the market. Many families who lost their homes to foreclosure have no desire to own a home again. Not being able to qualify for a mortgage for anywhere between 5-7 years after a foreclosure, these ex homeowners have been forced to sign a lease rather than a deed. Leading to the next reason.. Lending remains tough: Due to the foreclosure crisis and the increase in number of people filing for bankruptcy, qualifying for a mortgage has been a problem. Potential buyers with that on their credit report are really faced with challenges after the financial hardships imposed by the recession. Investors and rise in Accidental landlords: Savvy investors took full advantage of the cheap housing market and acquired rental single family homes. In addition, a lot of people who are still under-water and can’t sell their homes and need to move have been forced to become accidental landlords, renting their homes to pay their mortgage and avoid short-sales. Boom in the Boomerang kids renting: Younger couples and single individuals have started renting before they consider buying. Due to the high unemployment rates and exorbitant student loan debts, these younger people have chosen to stay away from being a homeowner and being inundated with more debt. The flexibility factor also plays a role here, renting enables younger people to move around, change locations for school or work without being tied down to a massive debt. Buying is no longer dubbed as the “American Dream”: The perception of homeownership being synonymous to living the American dream has vanished. According to a study by Credit.com – it’s more about retirement with financial security and being debt free versus being a homeowner. The foreclosure effect will drive an estimated 3 million former homeowners to rent single family homes between 2010-2015. This shift has had positive and negative effects on neighborhoods, but despite this the boost in the single-family rental inventory has been a positive force, experts have said. They not only offer comfort to once-beleaguered families, but they help to stabilize the housing market by chipping away at the foreclosure inventory.